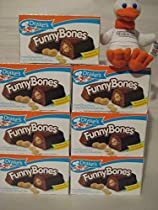 70- Funny Bones by Drake’s. Each Box has Ten Funny Bones. Freshness Guaranteed! Can Be Frozen up to 2 months.